$3.99 PIZZA AND SIDES MENU! 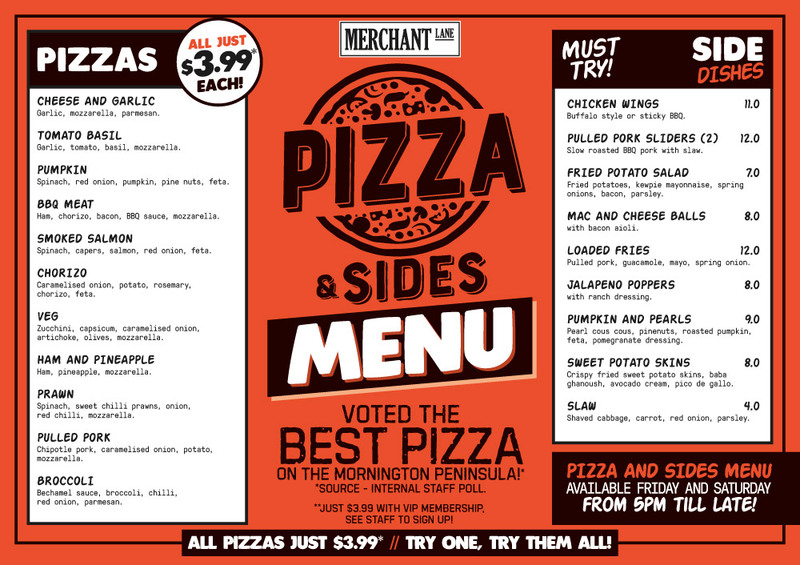 Voted the Best Pizza on the Mornington Peninsula*…. CLICK HERE TO BECOME A PIZZA & SIDES VIP TODAY! CLICK HERE TO BOOK A TABLE TODAY! REGISTER NOW for your Free VIP $3.99 Pizza and Sides Membership getting you this incredible price point each and every Friday and Saturday night! CLICK HERE TO REGISTER AND BECOME A VIP TODAY! Copyright © 2016 Merchant Lane, Mornington. All Rights Reserved.